Opting for a decent gaming microphone may seem easy, but ask a serious gamer, and he/she will tell you about the intricacies involved. Gamers understand the importance of sending a crystal-clear voice during a heavy-duty gaming session. Also, a professional microphone makes a huge difference in quality when you are playing the game as live streaming is an audio/visual medium. Of course, you can choose a simple headphone for gaming but it will cause trouble in communication. Those plastic mics (attached to the hands-free) are not even good enough for calls. If you used a hands-free during any MOBA (Multiplayer Online Battle Arena) game, we are pretty sure you will end up in a fight with your gaming pals for muffled audio that led to the defeat of your team. Gaming microphones can be expensive and cost over $600 but you can get a decent gaming microphone under $100 too. Overall, the gaming microphone must come with superior audio quality, noise cancellation feature, ease of use and setup, and shouldn’t cost a fortune. V-Moda BoomPro Mic uses headphones’ 3.5mm port to convert any headphone into a full-fledged gaming microphone for just $30. The best part is there’s no adhesive involved. V-Moda BoomPro has a clutter-free setup. The microphone’s flexible metal arm ensures right adjustment according to your face and mouth. You can have your headphone back by plugging out the BoomPro. 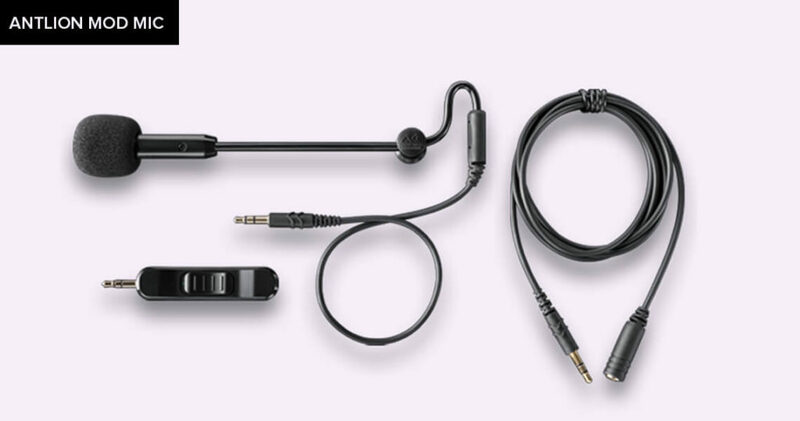 There is a small glitch; your headphone must have removable cable otherwise V-Moda BoomPro Mic is not for you. 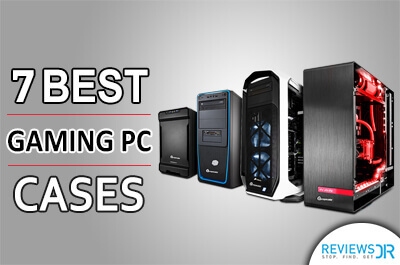 In terms of performance, we were impressed with its audio quality. It handles the background noise quite nicely. AntLion ModMic is the forever oldie on our list. Its ability to convert any headphone into a gaming microphone is priceless. We didn’t like the part where you have to use adhesive to attach AntLion ModMic. It is a noise-reducing uni-directional mic. In simple words, it allows sound from one direction and doesn’t pay attention to the surrounding noise. AntLion is a much expensive contender than its fellow ModMics but it has a proven record of flawless performance which makes up for the elevated price. Blue Snowball is a different gaming microphone than the ones you have seen before on the list. It comes with a stand and connects to the device via a USB port. A microphone with a stand means it will not be close to your mouth. However, Blue Snowball has superb audio recording features. In fact, it comes with three different audio settings – cardioid mode records sound from the front direction only, cardioid mode with -10 dB is same as cardioid but with -10 dB attenuation, and omnidirectional mode records sound from all directions. It is a great buy for $69 and looks good due to the unique design. 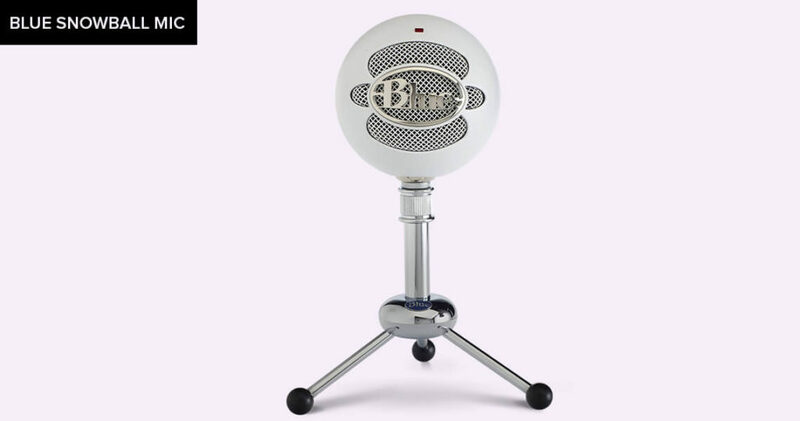 However, there are other microphones by Blue that are worth considering before actually spending money on Snowball. Another legend from Blue is Yeti. It is the same company that produced Snowball. If a manufacturer has been able to get two of its products on our list then it knows the business. Blue Yeti is one of the best microphones for gaming currently. It has given settings option to adjust the mic according to the use. During online multiplayer games, you want to talk to your teammates and the mic should be able to convey your voice as clearly as possible. Blue Yeti seems to do that brilliantly and then some more. 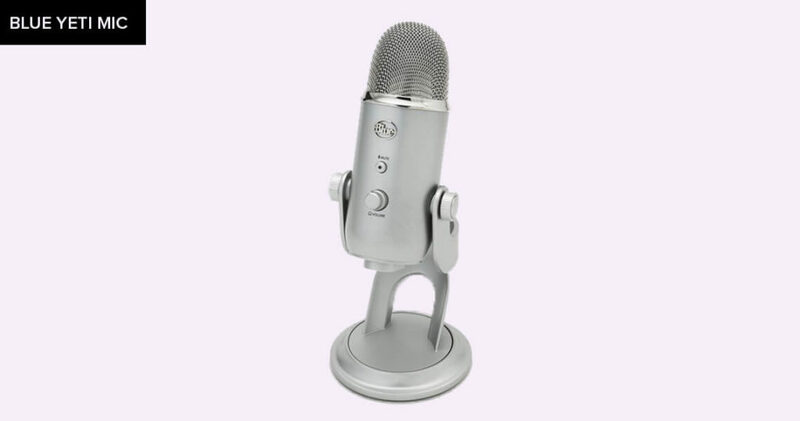 Blue Yeti is a professional microphone which can be used for voiceovers and podcasts. It is known to throw your voice with gravitas and clarity. However, it costs almost double of Blue Snowball and the difference in performance is also two folds. 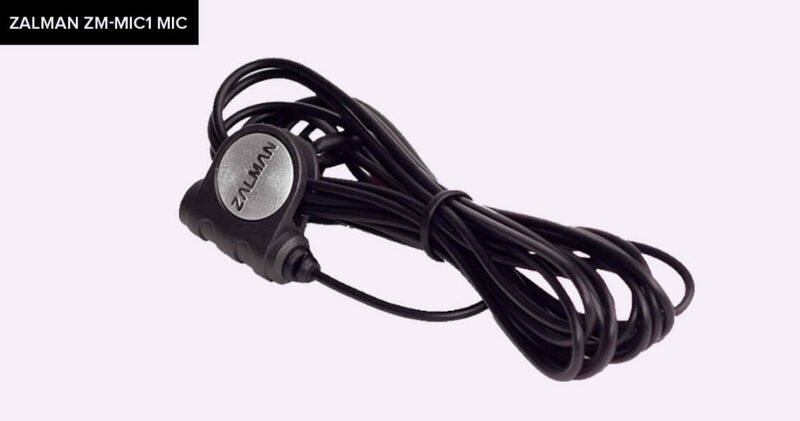 Zalman ZM-MIC 1 is one step ahead of your built-in headset mic. Basically, it is an attachment that can be easily combined with any headphone. You are supposed to plug it into the 3.5 mm jack of your system and attach it to your headphone cable. The major advantage is you can choose any specific headphone without considering microphone. Also, the price is incomparable. However, the sound quality while gaming is pretty average. It picks the background noise easily. As said earlier, it is slightly better than the cheap plastic mic on your heads-free. 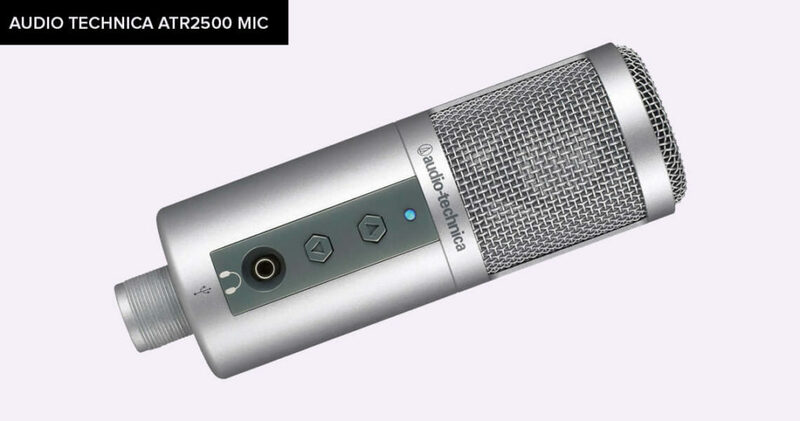 Audio Technica ATR2500 is a premium microphone with top-notch features and performance. The sound quality is outstanding. 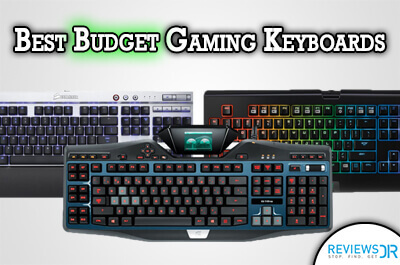 You will love using it during long gaming sessions. 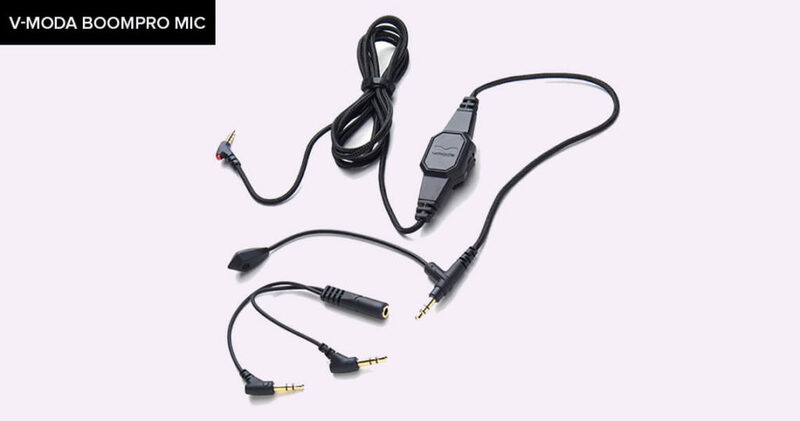 The microphone has a USB connection and it can be connected to any device easily. Audio Technica ATR2500 requires a stand which has to be purchased separately. The combined price tag will shock you a little. 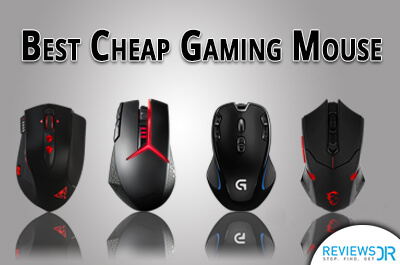 Now, it is your choice whether you want the best gaming experience or to save some bucks. In comparison to Blue Snowball, Audio Technica ATR2500 is just $10 or $20 costlier and performs way better than the former. 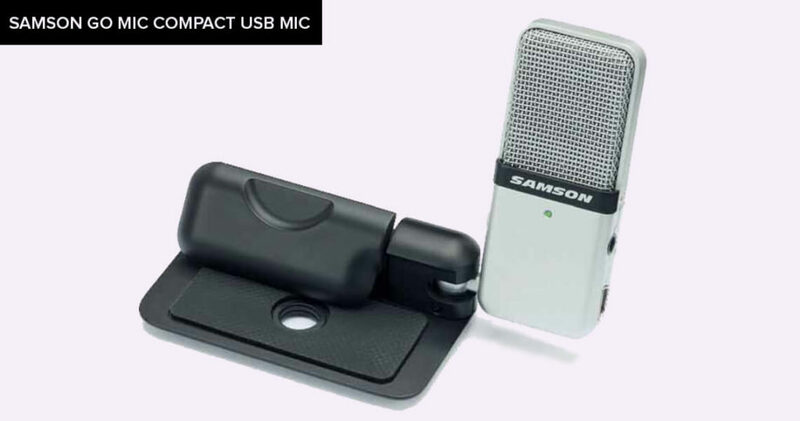 Samson Go Mic Compact USB is another budget option for gaming. The reason we loved it so much is because of its adjustable nature. The mic can be fixed to a laptop or sit on a desk. You can put it anywhere as it takes very little space. The sound quality and performance are just above average. You can play games while using this mic – that’s all we can say about it. The hint is not to expect a lot. 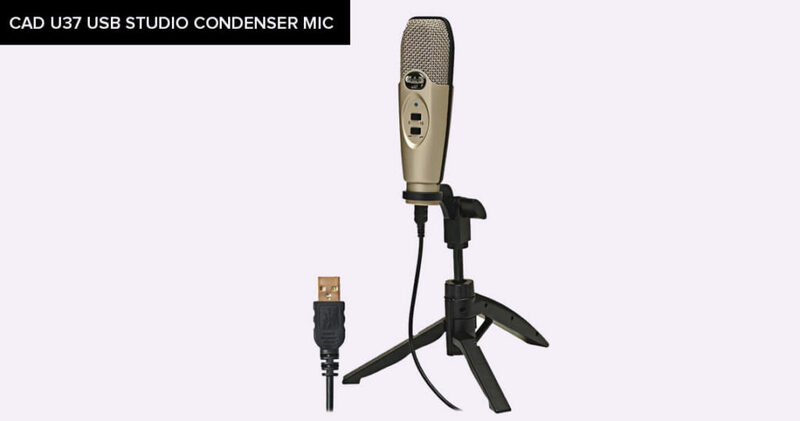 CAD U37 USB Studio Condenser is a cardioid, meaning it will separate your voice from the background noise to deliver the best results. In the ideal settings (i.e. the quiet room), it can be used for far more complex jobs like live streaming, podcasts, voice-overs etc. However, when the situation is not ideal, CAD U37 is just another microphone with average deliverance. In respect to its pricing, CAD U37 is definitely a nice pick as a gaming microphone. We hope now you think that best gaming microphone is well within your reach. For some of you spending $110 on Blue Yeti may be a little bit too much, but I assume everyone can afford an $8 Zalman, right? But, bear in mind that both have their own pros and cons. We can argue about the difference in performance of the two but that’s not the point. At the end of the day, you upped your gaming experience ten folds by enhancing your communication with a gaming microphone. Gamers spend many hours a day in front of their computer screens. They find the similar passion in others and play along with them. If the communication tool doesn’t perform up to the expectation during a heightened multiplayer game, the whole gaming experience would suffer big time. 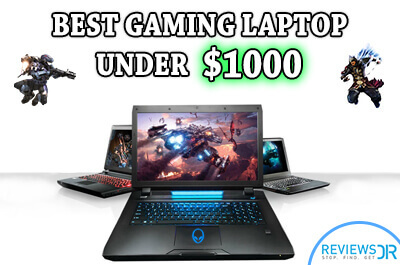 We suggest getting the best gaming microphone and earning yourself the right to socialize in the gaming community with a voice that stands out!. Is there any gaming microphone that you would like us to add to the list? You can tell us in the comments section below. 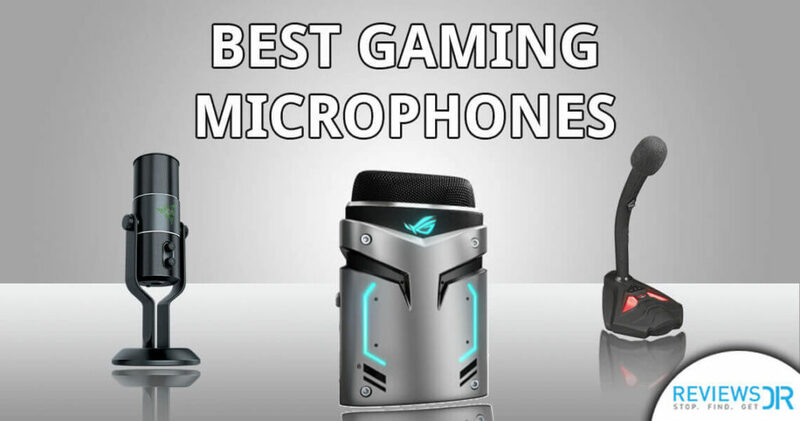 We would like to know which gaming microphones you are using.